A massive creature attacks a deep-sea submersible, leaving it disabled and trapping the crew at the bottom of the Pacific Ocean. With time running out, rescue diver Jonas Taylor must save the crew and the ocean itself from an unimaginable threat -- a 75-foot-long prehistoric shark known as the Megalodon. 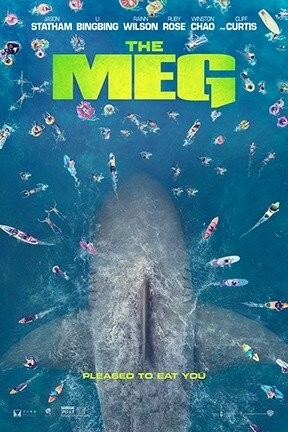 The Meg: The IMAX 2D Experience is not showing in any theaters in the area.